The High Arctic Archipelagos and islands are connected by the migratory routes of shared populations of walrus, polar bears and seals along with migrations of seabirds that nest in the north-eastern Atlantic and forage in the waters from northern Svalbard, Franz Josef Land and further in the northeast of the Kara Sea. The archipelagos together with the surrounding waters play a key role in maintaining populations of endemic, threatened and endangered Arctic species. An estimated 85% of the global ivory gull population (an IUCN Red List species), nest on the Svalbard, Franz Josef Land and Severnaya Zemlya archipelagos and associated islands. The large range in primary productivity throughout the region supports rich and varied benthic communities and important feeding grounds for fish, sea birds and marine mammals. Up to 85% of the global ivory gull population nest in the High Arctic Archipelagos, and Franz Josef Land and Severnaya Zemlya support a distinct race of little auk Alle alle polaris. 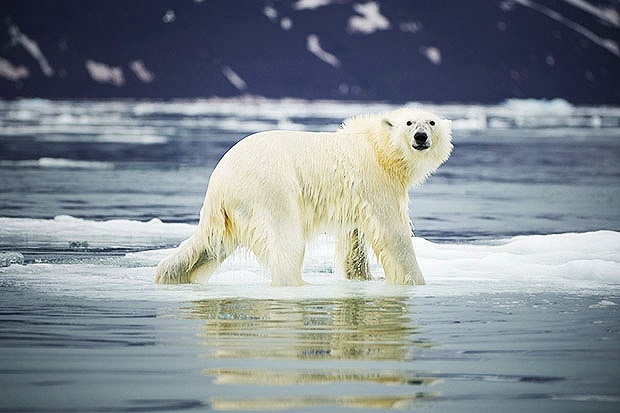 Threatened and endangered species include the critically endangered Spitsbergen stock of bowhead whales, polar bear, Atlantic walrus, narwhal, beluga, ivory gull, Atlantic puffin and the Greenland shark. Dozens more species inhabiting the High Arctic Archipelagos are also separately listed as threatened by Norway and the Russian Federation.